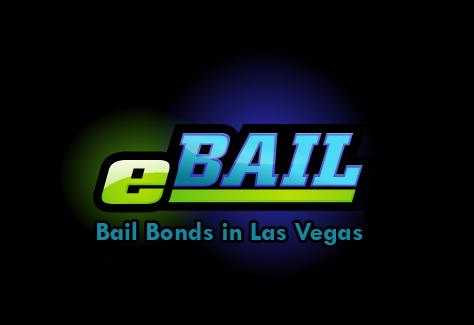 eBAIL provides Fast, Cheap, Online Warrant Bail Bonds in Las Vegas 24/7. Also serving Warrant Bail Bonds in North Las Vegas, Henderson, Boulder City, and Nationwide. If you have an active arrest warrant in Las Vegas, law enforcement may arrest you any time or anywhere, whether you are at work and on the job or at home in bed. Never knowing when an arrest may occur can lead to a lot of stress throughout your day. Take matters into your own hands with a Warrant Bail Bond. What is a Warrant Bail Bond? Unlike other types of bail bond, a Warrant Bail Bond is purchased before going to the jail rather than after an arrest occurs. You will meet with the bondman and an attorney to set up the warrant bail bond. After payment of the bond, you will turn yourself into police custody at a local police station. You will then proceed with a warrant walkthrough in which you complete the booking process at the jail. Once booking is complete, you will be released on the bail bond. It is important that you attend the court date that will be set up shortly after being released on your bond or you will forfeit the Warrant Bail Bond and may spend time in jail. However, you will have to wait in jail until the preliminary hearing and through the release process. Which Jails Accept Warrant Bail Bonds? Without the special bail bond for active arrest warrants, you may be picked up on that warrant and placed into custody. After being booked into a jail facility, you will receive a preliminary hearing where the judge will set a bail amount. There are a few ways to get out of jail once the bail amount has been set. Pay the full amount. You can choose to pay the full amount of bail set by the judge. However, if you received an active arrest warrant due to missing a court appearance, the judge may set the bail amount very high. Pay 15% of the bail amount. You may choose to get a bail bond for 15% of the price of the set bail. This amount is paid to a bail bondsman who will help to get you released from jail. Hire a criminal defense attorney. A lawyer may be able to get the bail amount reduced, but this is not guaranteed. It may take days or weeks for an attorney to be able to speak with a judge, during which time you will remain in jail. Once bail payment has been arranged with the court, either through payment of bail, a bond, or an attorney, you must wait until jail through the release process. This process takes anywhere from 6 to 16 hours and may take even longer due to events within the jail or if you are detained on a weekend or holiday. By seeking a Warrant Bail Bond from a qualified bondsman, you can reduce this time drastically with a walkthrough process. 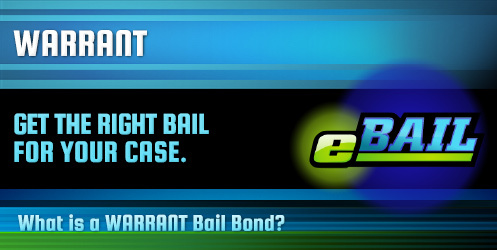 eBAIL will help you through the bonding process. The bondsmen are experienced and have connections with some of the best attorneys in the Las Vegas area. eBAIL is fully licensed in the State of Nevada and is even accredited by the Better Business Bureau. You will be helped with the bond process every step of the way and treated in a respectful and courteous manner.